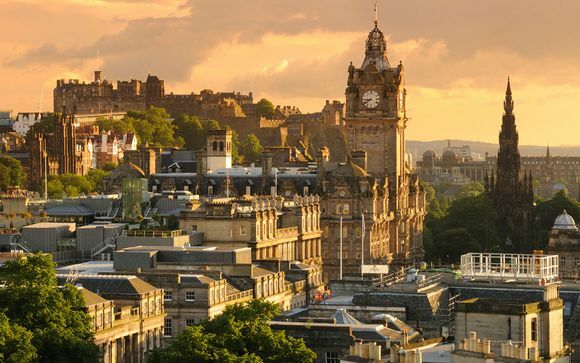 Whether you choose to stay near cute Stockbridge with its great restaurants, cafes, gourmet food shops, boutiques and bars, or you choose to be in the charming West End - you are just a short walk to bustling Princes Street. 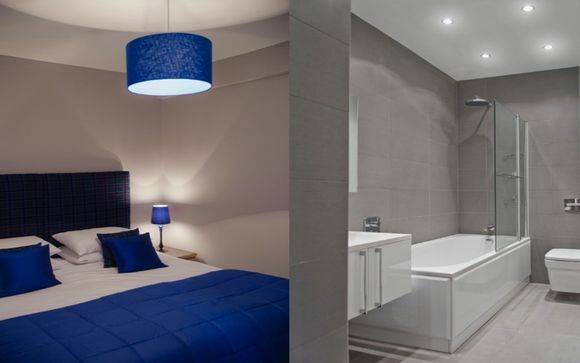 Gorgeous apartments offering a cosy base for exploring this magical city! 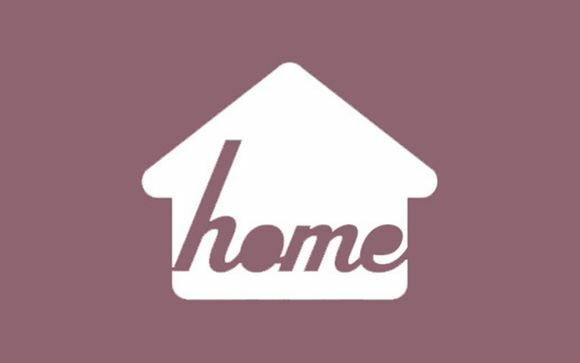 This offer is based on a 1 Bedroom Apartment for up to 2 People on a self-catering stay. A fully equipped kitchen is provided. 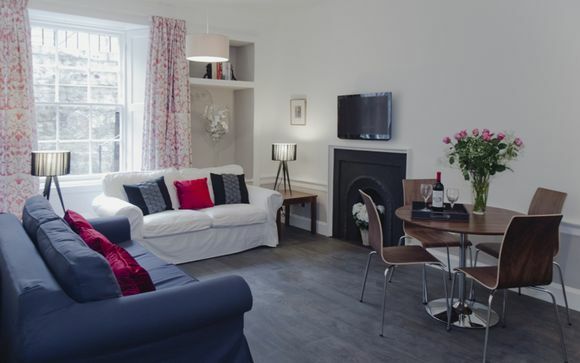 Located in Edinburgh’s prestigious and central New Town, this cosy apartment is in an excellent position from which to explore Edinburgh, being less than 10 minutes walk from both Princes street, with its city centre shopping and the delightful Stockbridge Area. Stockbridge being full of cute cafes, gourmet food shops and cool bars. Bright and sunny, this gorgeous apartment is charming and elegant with sleek modern finishes. And it boasts superb reviews on Tripadvisor! It features:- 1 king size bedroom, beautiful contemporary bathroom, cosy living dining room and open-plan kitchen. 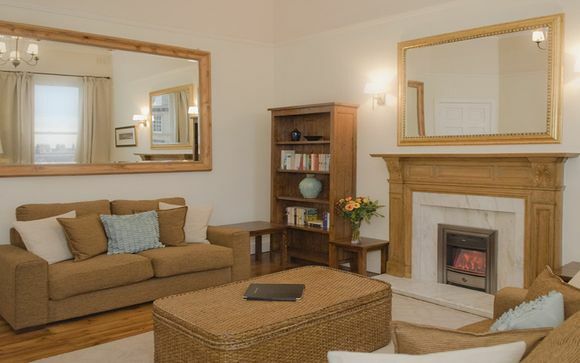 This offer is based on a 2 Bedroom Apartment for up to 4 People on a self-catering stay. A fully equipped kitchen is provided. Stylishly modern and yet still traditional, this first floor West End apartment is situated in an enviable position just 5 minutes from Princes Street and Edinburgh’s centre. 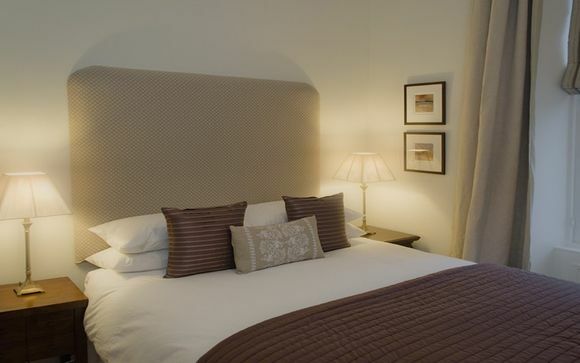 Newly refurbished to the highest standard it offers outstanding accommodation, the apartment is fully kitted as a home away from home, with classic solid wood furniture and sophisticated upholstery. 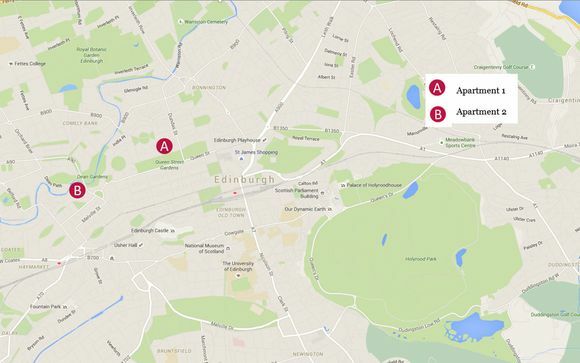 Boasting rave Tripadvisor reviews, it also offers delightful views over the city and down to the Forth Bridge. It features:- 1 double bedroom, 1 twin bedroom, 1 swish modern bathroom, living room, flash kitchen and dining room.